Do you need to step up your marketing game? 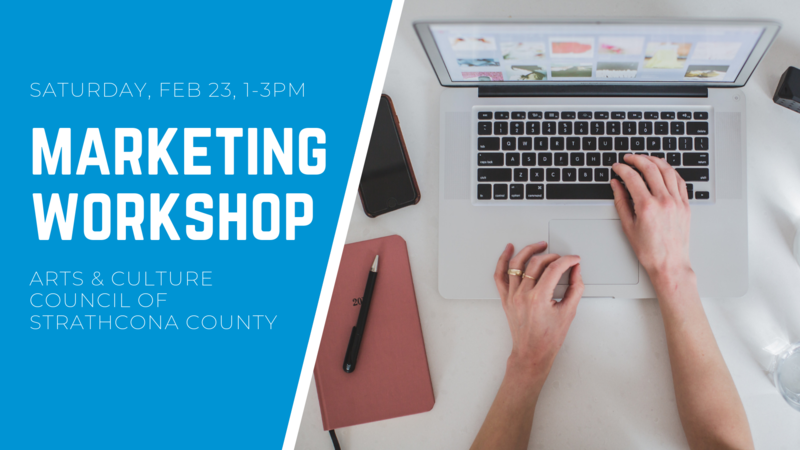 Join us at our Marketing Workshop on Saturday, February 23 from 1:00–3:00pm at the Sherwood Park Chamber of Commerce! Spend the afternoon with Lori Frank, Professional Artist, and Nadine Gritten, Digital Marketing Specialist as they teach you how to effectively market yourself and your art online. This workshop is applicable to any artist or artisan, from painters to potters to poets and more. Admission is $10 for members and $20 for non members. Interested membership? Its only $20! Sign up on our website or at the workshop! Almost 7 years ago Lori Frank ditched her position as a media advertising executive to finally pursue her dream of becoming a full time artist and entrepreneur. Since then she has been fully immersed in all things art and the business of art. Marketing and advertising is second nature to her after providing guidance, creative strategies and ideas to clients for decades; Lori Frank Incorporated is now her best client! Lori Frank is a local independent Edmonton artist, that specializes in painting uplifting, colourful and unique pieces in her signature style. Her works have been showcased at Edmonton City Hall, the Muttart Conservatory and the Jubilee Auditorium. Her lifelong dream continues to now be a reality she is grateful for everyday. Nadine is a certified Google Analytics, Google Search, and Display Advertising specialist with over 5 years’ experience in Digital Marketing and SEO. Her love of data and trends allow her to work with clients to ensure the best return on investment through organic search and online advertising. Her specializations include On-Site Optimization, Content creation, Link building, Online and Social Media advertising. Prior to moving into Digital Marketing Nadine held positions as a Marketing Manager and a Graphic Designer; additionally she holds a diploma in Video Game Art & Design from the Art Institute of Vancouver.